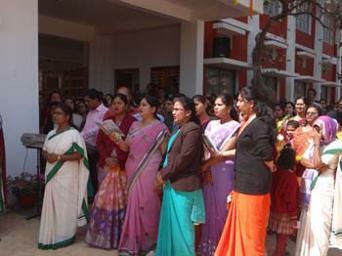 Inauguration of the new administrative block & Hall. 28th February 2017:- The Management and staff were very delighted to witness this very significant event in the history of St. Joseph’s Convent. Since the beginning of its journey in 1982 the school has reached the pinnacle of success and this new block in first another feather in its cap. 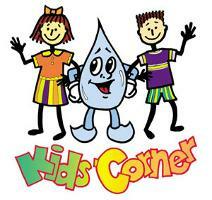 The inaugural ceremony began at 110.00a.m Respected Rt. Rev. 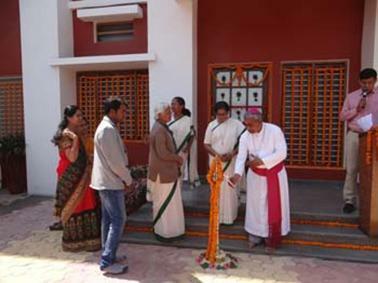 Dr. Eugene Joseph , Bishop of Diocese of Varanasi kindly concented to the Chief Guest of the Day. 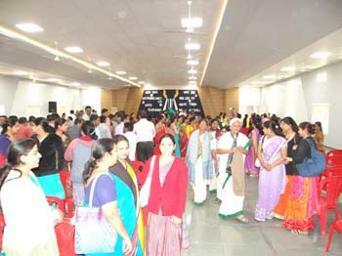 The other dignitaries present were Sr. Leelamma, Provincial of sisters of OLP, Sr. Meera, Manager, Sr. Sheela Honorable Principal , Sr. Vasanthi Vice Principal & Sr. Sr. Lovely Headmistress, the sisters of OLP, PTA Executive Members, novices and other distinguished guests also graced the occasion by their benign presence. The day commenced with lighting of the lamp that stand for auspiciousness, prosperity and abundance. 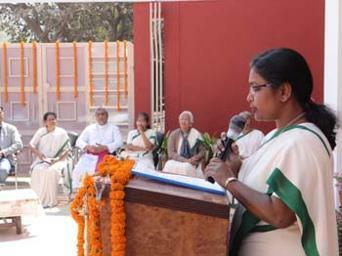 Then Sr. Vasanthi introduced and welcomed the guests and then followed the unveiling of the cornerstone by Rt. Rev. Rev. Dr. Eugene Joseph. HE also inaugurated the administrative block by cutting the ribbon. 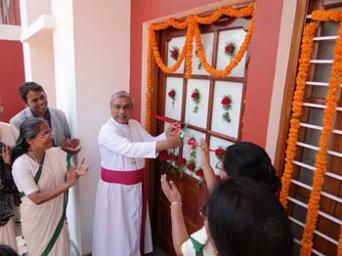 Then Mr. Suraj, the architect and Mr. Arun, the builder, handed over the keys of the new Administrative block to Sr. Leelamma to open the door of the this block. Then all the guests and staff followed Bishop to the new hall, where the prayers service was conducted to thank God who has overwhelmed us with his blessings and to share it with others. 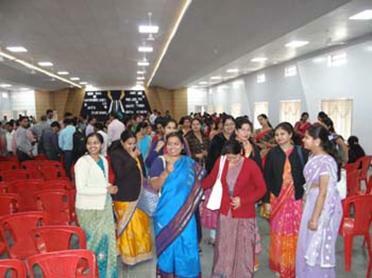 Then our students performed a mesmerizing thanks giving dance to thank the Almighty for his grace blessing. Then Sr.Leelamma honored th Bishop. 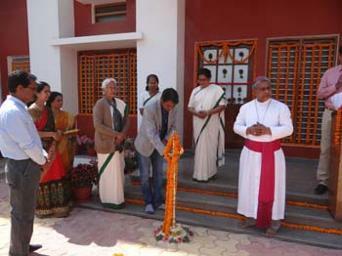 Then Bishop honored Mr. Suraj the architect and Mr. Arun the builder. Then Sr. Meera honored Supervisor of electrical work, plumbing, flooring, painting and cleaning work. The vote of thanks was given by our honorable principal Sr. Sheela who felt delighted to express her gratefulness and thanks to Almighty for his many blessings. She thanked the Bishop for enlightening and inspiring us with worf God, she also expressed he deep sentiments of gratitude and love to Sr. Leelamma. Then through whose vision and plan the institution stands roaring high.